Each detailed piece is a 3D representation so life-like you won't be able to resist the urge to pet them ! No two rocks are exactly alike and each piece is individually created by the artist making them a one-of-a-kind original. 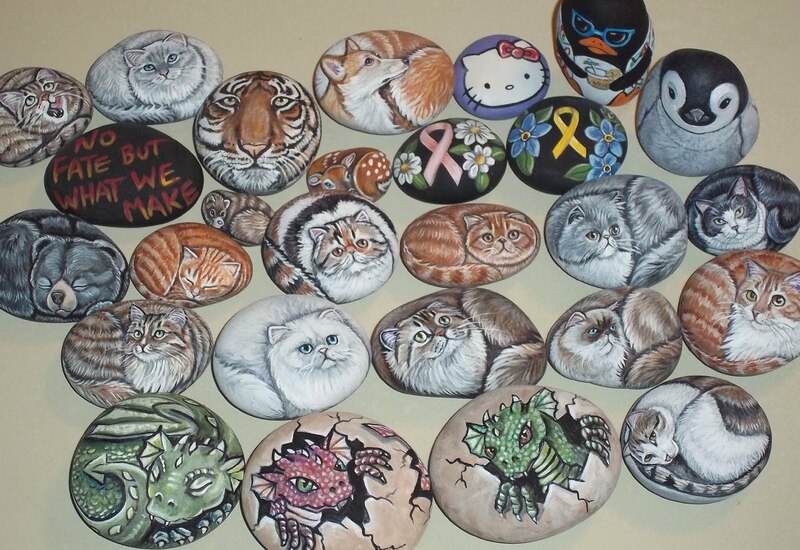 The size of rocks I paint varies from 60 lb boulders to fingertip sized pebbles. The majority of paintings on this site and my auctions are approximately 3" x 2" Which is a manageable size to paint given the intricate detail as well as a reasonable size to ship with most costing under $4 to send. They're like potato chips ....you just can't have one! These natural stone paintings have such a tangible, accessible quality not found in many art forms. I like holding it, looking at it from different angles. 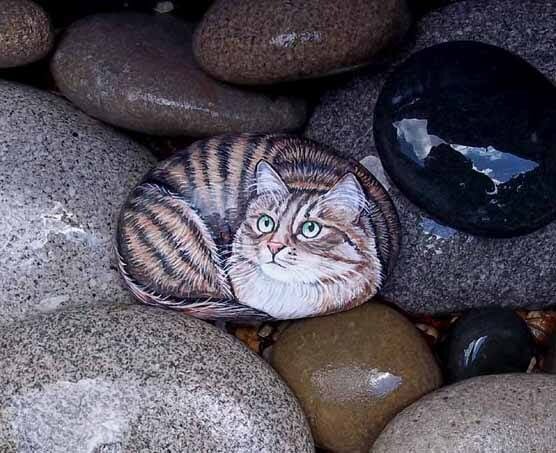 I like the uniqueness and unexpected quality of transforming such a natural surface into a realistic, three dimensional painting. 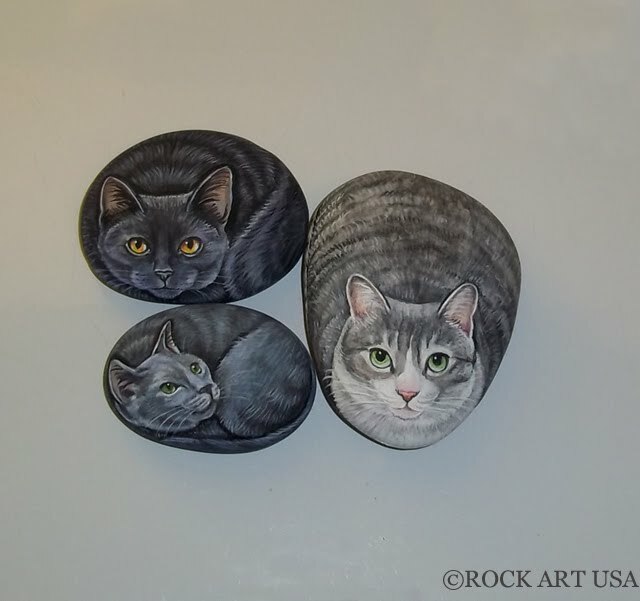 These creative "pet rocks" sit on guard and welcome & greet each guest that enters. They are real conversation pieces. Smaller rocks make ideal paper weighs. They look great in small baskets or resting on a pillow. They make an excellent centerpiece on a counter top or table. 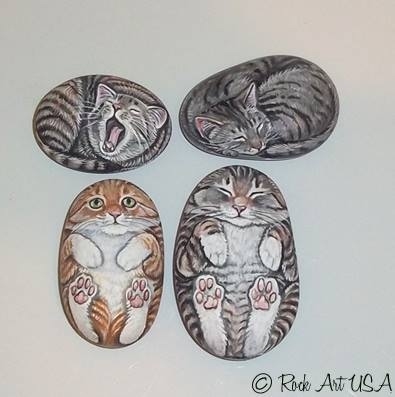 I use the larger rocks as doorstops, bookends or porch dwellers. They can be place next too or inside potted plants. Pet Care: They're already house broken. NO feeding or vet. trips required! 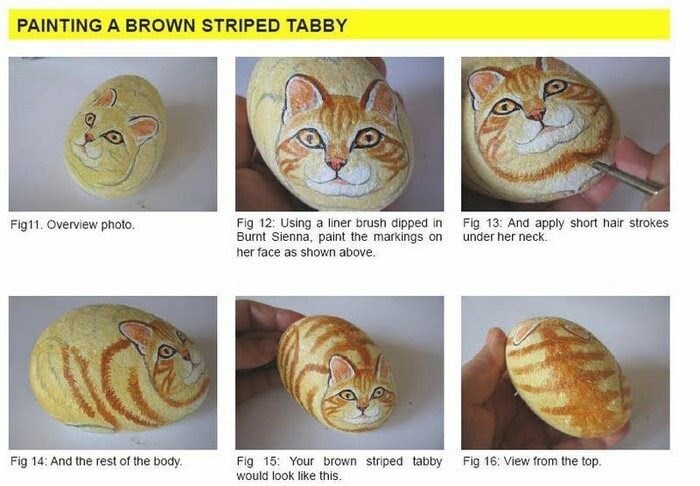 All rocks are painted with acrylic paint and sealed with an interior/exterior protective coating. Ideal for any location, however, like any piece of art, it is recommended that they not to be placed in direct sunlight or exposed to the harsh weather conditions. In some cases, the larger rocks can scratch surfaces if placed directly on table tops or counters. A small piece of felt or cloth can be placed under your new pet to prevent scratches. 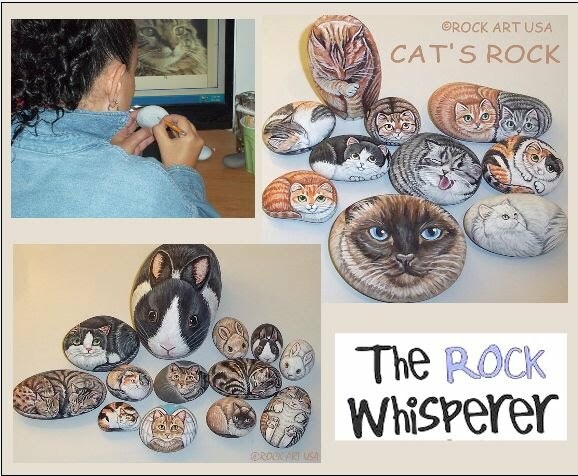 These instructional ebooks will demonstrate how to paint on rocks. 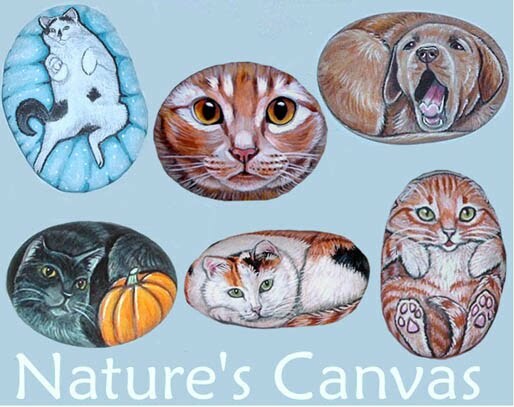 You will learn how to paint: Dogs, Cats, and Animals of all kinds. professional artist seeking a fresh and exciting avenue of artistic expression. The only difficult part about the process is deciding which one to paint first!